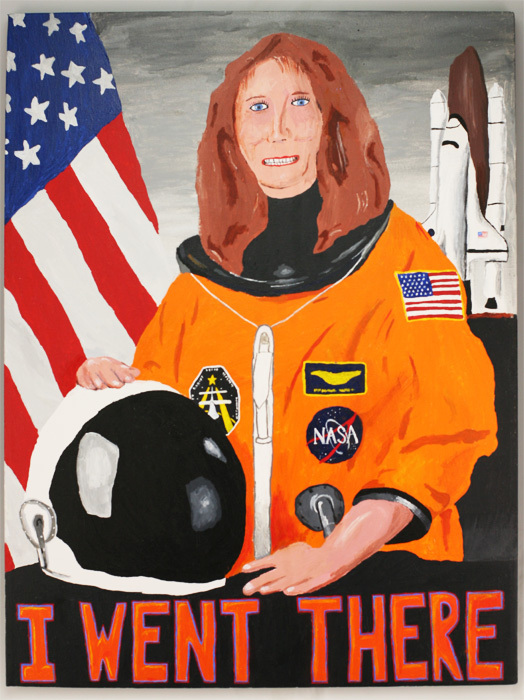 A portrait of the famous astronaut, Lisa Nowak. This was the poster image for my show “Recent Attempts,” October/November ’07 at Random Order coffeehouse. It was also part of the Grass Hut’s America in ’08.